This letter was co-written by David Betton Macomb (1797-1837) and his wife, Mary Tiffin (Worthington) Macomb (1797-1836). 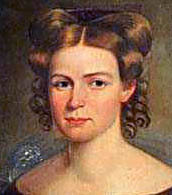 Mary was the eldest child of Thomas Worthington (1773-1827) and Eleanor Swearingen (1777-1848). Mary led a very tragic life. Against her father’s wishes, she married David Macomb. Although the young man came from a prominent family, he could not to support his wife and children. 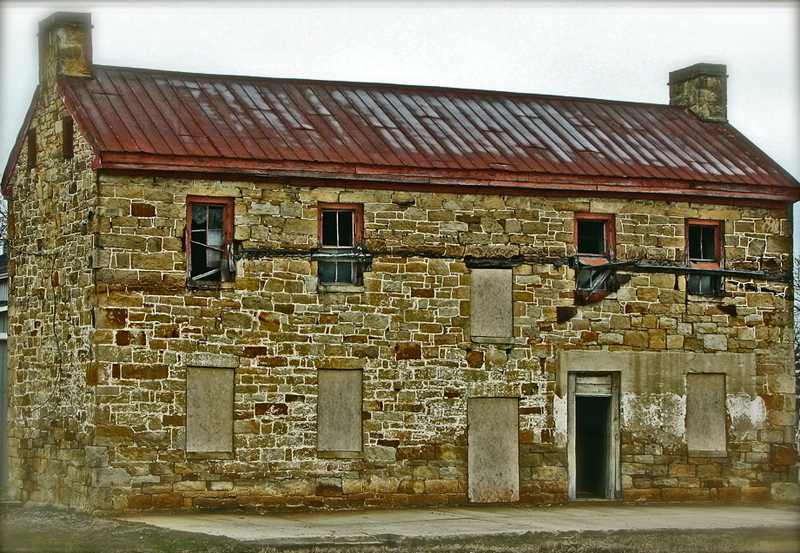 In 1819, the sheriff sold the Macomb’s belongings at public auction to help pay David’s debts. In 1825, the family moved to Florida where their financial difficulties continued. Lured by the promise of wealth, Macomb moved his family to Texas in 1836. Mary became ill during the journey and never recovered. She died shortly after arriving in Texas, far away from home. This rare letter was written from Tallahassee just one year before Mary’s death. It was addressed to her mother, the widow of Thomas Worthington — the 6th Governor of Ohio (see biography below). Among the numerous anniversaries that we are in the habit of keeping in our little family, there is no one more particularly successful in exciting agreeable recollections than the date of this letter — the date of my marriage with my beloved wife, your ever kind and affectionate daughter Mary. Oh, if I had possessed half the experience in the affairs of this life that I now do, I should have had it in my power to have retired from business and lived but for her happiness and that of the dear pledges of affection she has brought me. Nineteen years passed away? Why yet appears but yesterday that I led my charming bride to the altar. And what has become of the assembled host which filled the hall of hospitality and made the welkin [?] sing with joy and gladness? And what has become of him who gave us both a blessing with his paternal hands? Even he has long since been gathered to his fathers. And where are all the kinfolks and dear friends who witnessed the joyous ceremony? Alas, some of them have been called to the long account, and others have wandered like ourselves into distant lands never to return and meet again. Oh, my dear mother, when I think how fondly attached your every dear daughter is to you, when I reflect on the almost certain eternal separation that must necessarily exist between you, I grieve that I ever brought her away from the land of her parents and kinfolks. If there could be anything on earth that could reverse the dropping spirits of my dear wife, it would be the prospect of meeting you once more this side of the grave. Never daughter loved a mother so and never wife a husband and children. Through all our enumerable trials and afflictions, both here and elsewhere, she still retains the most exalted love for mother & husband and if it should ever please the Lord to grant you a meeting on this earth, it would add one more blessing to the list we already enjoy. We have, my dear mother, a most charming and interesting family and our dear children are so kind and affectionate to their parents and to one another, that it is really refreshing to me when I come to find them so contented and happy under any circumstances. We have changed our residence from town to country — about 3/4 of a mile from the academy. Our children are now going to school and improve considerably. Thomas is to go in the army or navy when there is a vacancy, but in the meantime — for fear that he may be disappointed in getting a connection in either — I have placed him in a large store in town for a few months in order to teach him the price and quality and value of articles, as well as to give him some insight into business. He has been there about two weeks and I am happy to say has given great satisfaction to the gentleman with whom I placed him. He is apt, and industrious, and altho he has talents and capacity for a station much higher than the one he now moves in, yet no matter what his prospects may be, he can never be the ____ for a smattering of the science of making money, and what is still great, of saving it. Mr. Macomb commenced writing to you, but was called away before he had time to finish his letter and left it in charge with me to finish it. His engagement with Messrs. Stockton and Stokes leaves him very little time to home and its concerns, but so long as he has a prospect of making something towards a support, I feel satisfied. And there is nothing to do on the place that I cannot attend to with the greatest ease. We have not, in consequence of the high wages, been able to hire negroes to make a crop, and consequently there is not much to look after. Tom, as Mr. M. has already mentioned, is in a store. He is now only on trial and I do not know what he will get, but it is usual to board and clothe boys of his age with a small salary for the first year, and increase it after they become more acquainted with the business. If Tom is satisfied to remain, and does well, I shall never consent for him to go either into the army or navy. We have had a most severe winter for Florida, in consequence of which the influenza has been very prevalent and in many instances fatal. I am suffering from its effects now, tho not severely. The children too have all been more or less afflicted with it, but they are all tolerably well now. Our spring is so late that we are now just planting the seeds of vegetables, when at this time in other years we were using them. And I fear, in consequence, there will be great distress in the country for want of provision. The potatoes in great quantities have been frozen and corn is already $1.50 cts per bushel, and the pastures are so destroyed that were it not for great quantity of moss in the woods, the cattle would die for want of food — and I have no doubt as it is many will perish. And yet so greedy of gain are our plantations that they disregard the warnings and are making preparation to plant again large quantities of cotton. I doubt very much whether corn will be less, for a year to come, than $1 a bushel. The children all send their love to Grandmother, and David asks very often if I am never going to Ohio. Remember me affectionately to all my brothers and sisters. I hope some time to see some of them here, if I may never see you my dear mother, and now I have a home again to receive them. I have many trials yet. I trust in the Lord to deliver me from them all. Near the end of her letter, Mary mentions her son David. David B. Macomb (1827-1911) was born in Tallahassee. 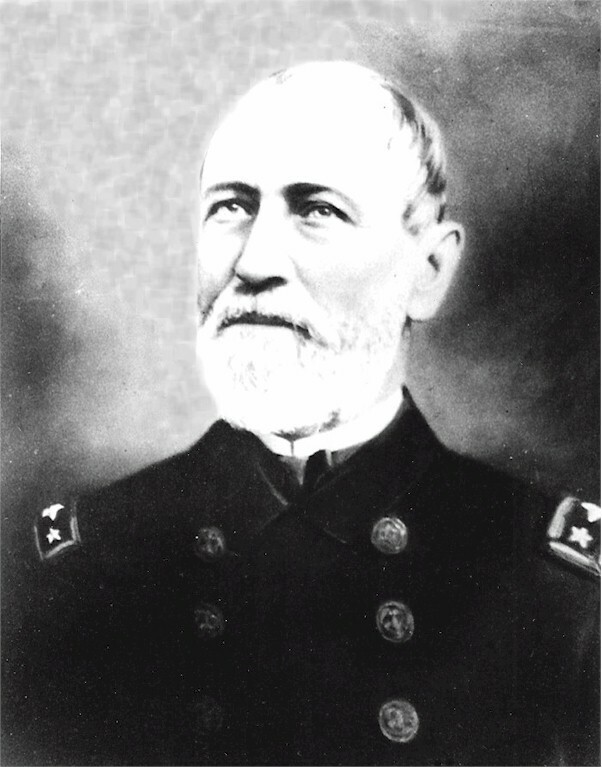 He entered the Navy as a third assistant engineer in 1849. Prior to the Civil War, he served with the Ringgold Expedition which explored the North Pacific and the China and Japanese Seas; and he accompanied Commodore Matthew Perry’s fleet to Japan, 1853–55. After the start of hostilities in 1861, he took part in the blockade of Charleston, South Carolina, and of Pensacola, Florida, then at Boston helped build monitors Nahant and Canonicus. He subsequently served on the latter with the James River Fleet and the North Atlantic Blockading Squadron. He contributed several inventions to the Navy including the Macomb Bilge Strainer and the hydraulic lift used in the turrets of ironclads. Macomb retired in 1889 and died 27 January 1911 in New York City. Source: Wikipedia. Spoken of extensively in the letter was Mary and David’s oldest son, Thomas Worthington Macomb (1820-1874). He married Elizabeth White (1827-1874) in Texas and made his living as a farmer in Harris County, Texas. A son, Rufus King Macomb (1844-1921), was in the Confederate Service during the Civil War (Co, K, 26 Texas Cavalry). Mention is made by Mary of her husband’s employment with Stockton and Stokes. William B. Stokes and Richard C. Stockton formed a partnership in the 1830’s to distribute mail as contractors of the U.S. government.